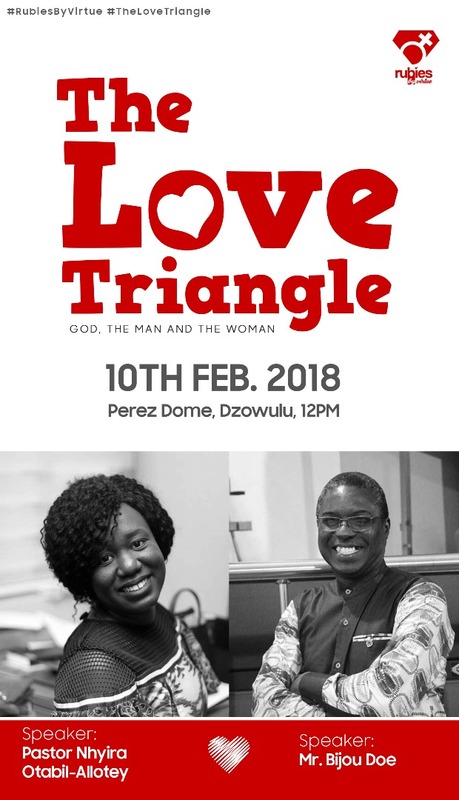 Love Triangle is a program which is organised for the youth to learn how to involve God in their relationship. It’s the first ever episode and it is organized by “Rubies by Virtue”. 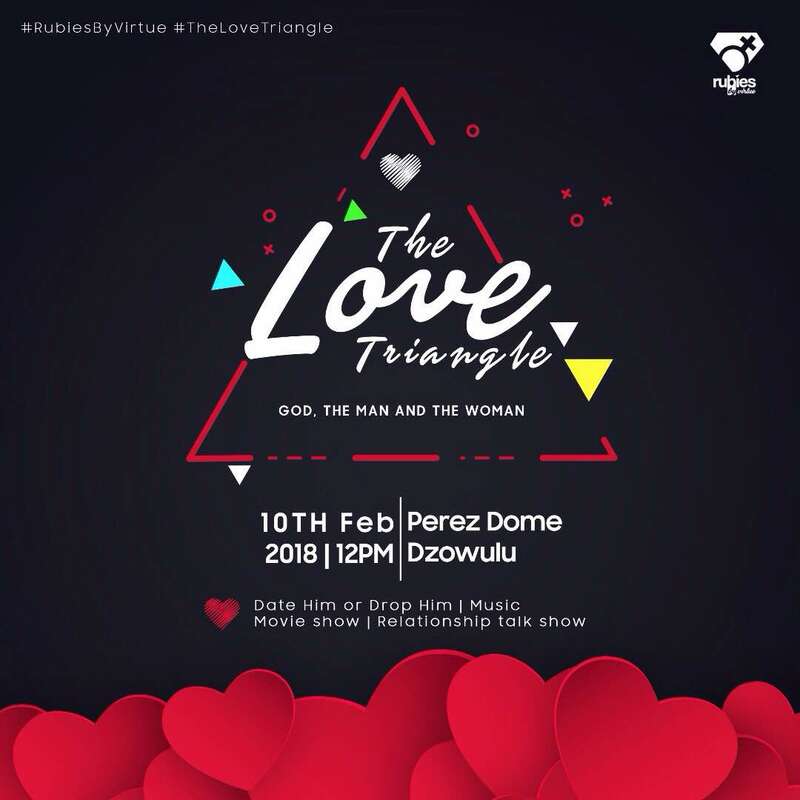 A group of Godly young ladies with the mission of taking over the world for Christ by the things they do..
Love Triangle is a programs which is organised for the youth to learn how to involve God in their relationship. Great men and women like Pastor Nhyira Otbil-Allotey and Mr. Bijou Doe would be there to provide answers to questions bothering the mind of the young adults and a lot to learn. I missed it ! But it sure sounds like an awesome program.